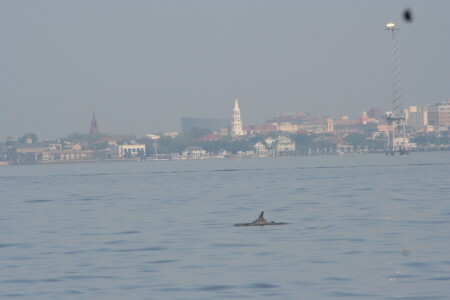 [A dolphin in front of hazy Charleston]. 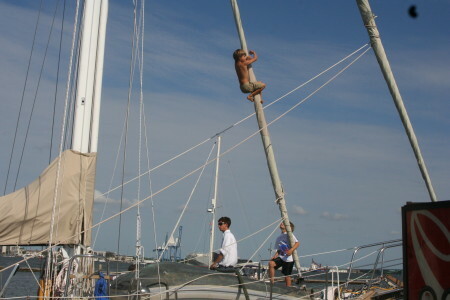 [Joshua, our boat monkey, shimmies up the staysail while we get fuel and a pump out in preparation to leave]. [I feel a bit like Shakespeare’s Lady Macbeth “Out, damn’d spot! Out, I say!” Incredibly, the only camera store in Charleston went out of business a few months before we arrived. 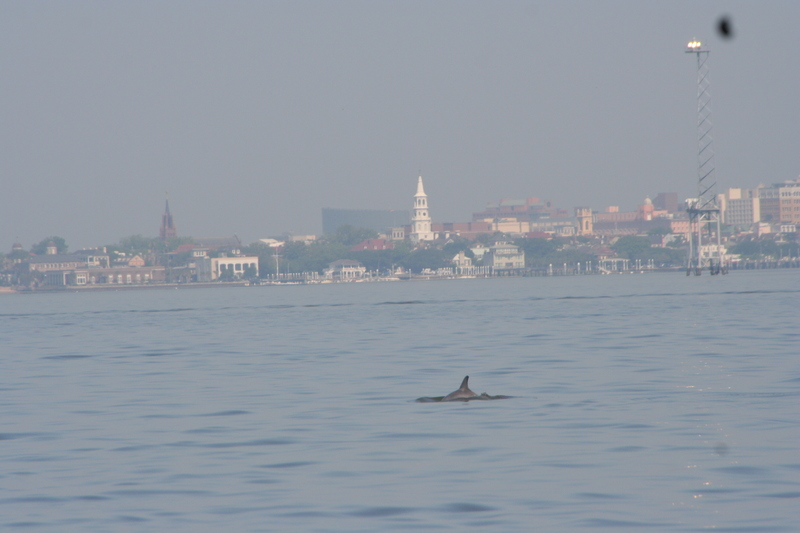 The black spot remains … ]. This entry was posted in Uncategorized on June 1, 2014 by Diane.